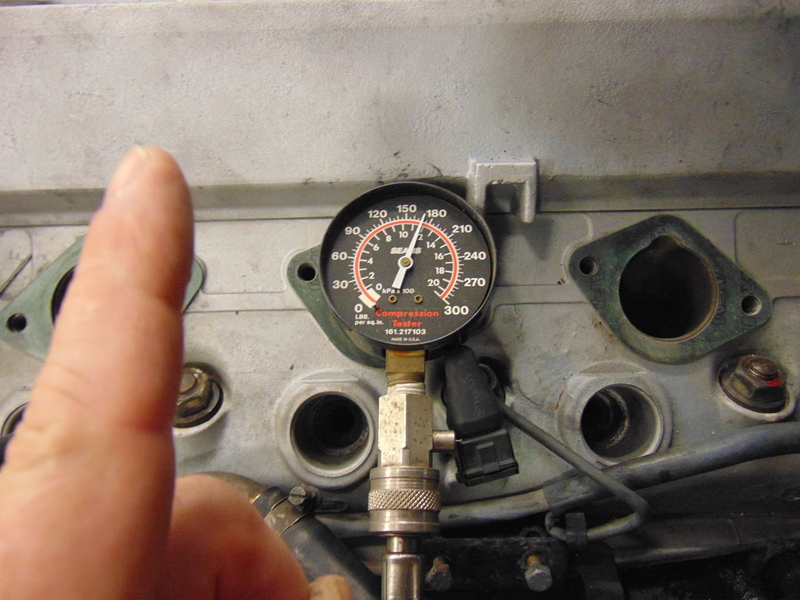 I wanted to check the health of the engine on the Porsche 944 street/track car by performing a standard compression check. 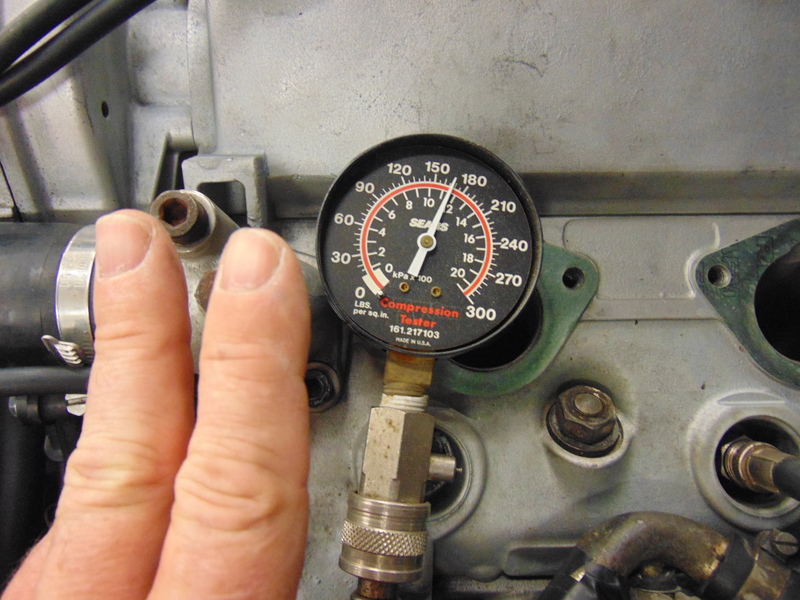 All compression values were right around 170 psi. 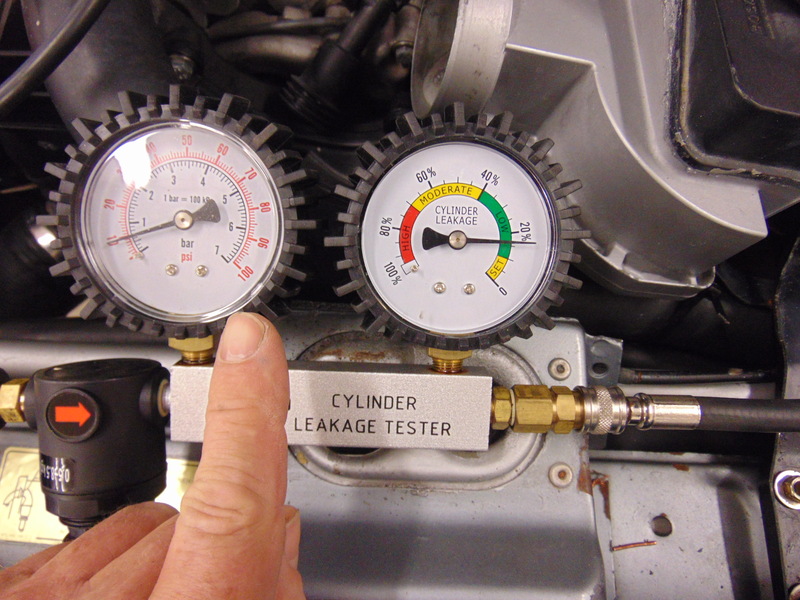 Another standard check is a Leak Down check. 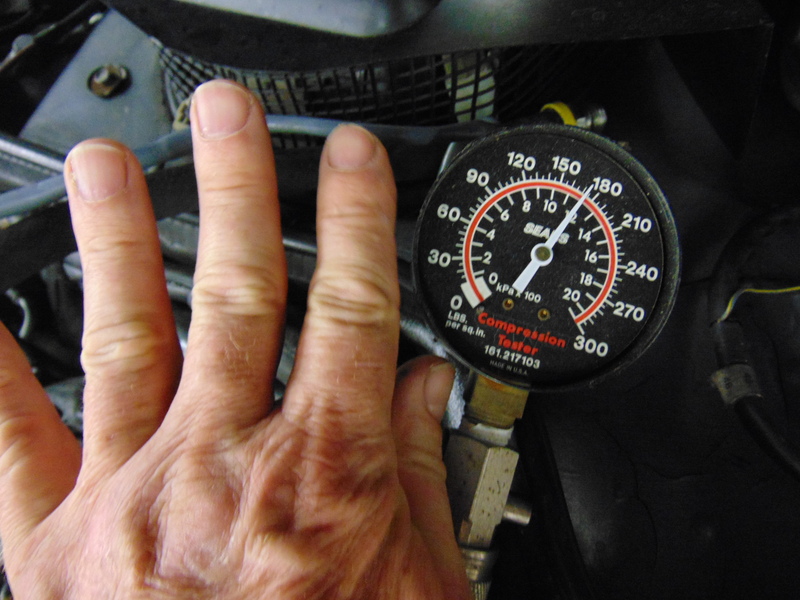 A compression check is performed dynamically by rotating the engine with the starter motor, which pressurizes the cylinder and checks that pressure in psi (pounds per square inch) units. 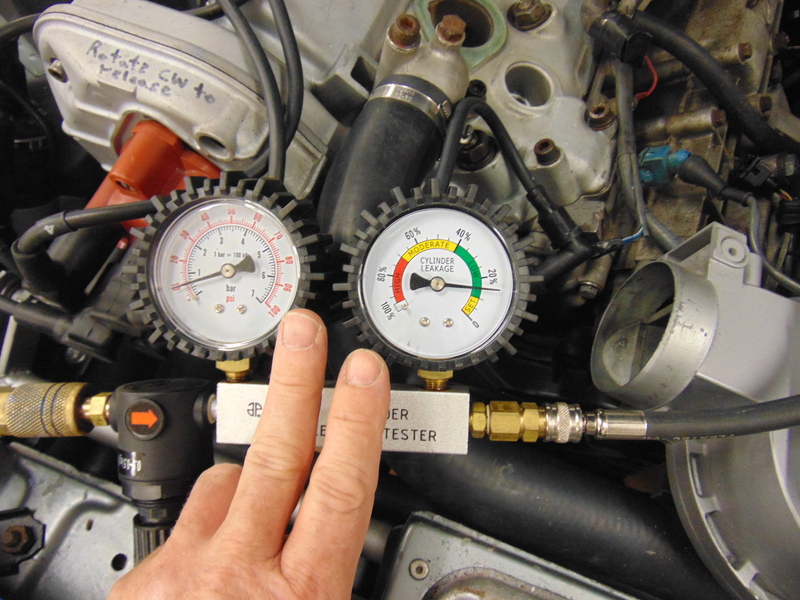 The Leak Down check is performed with the engine at rest, by pressurizing the cylinder with compressed air. It is in effect a check as to how quickly the air leaks out of the cylinder. For a cylinder in good condition with firmly seated valves, the only way the air can leak out is by squeezing past the rings. If you listen carefully, you can hear the air coming out of the oil dipstick tube. 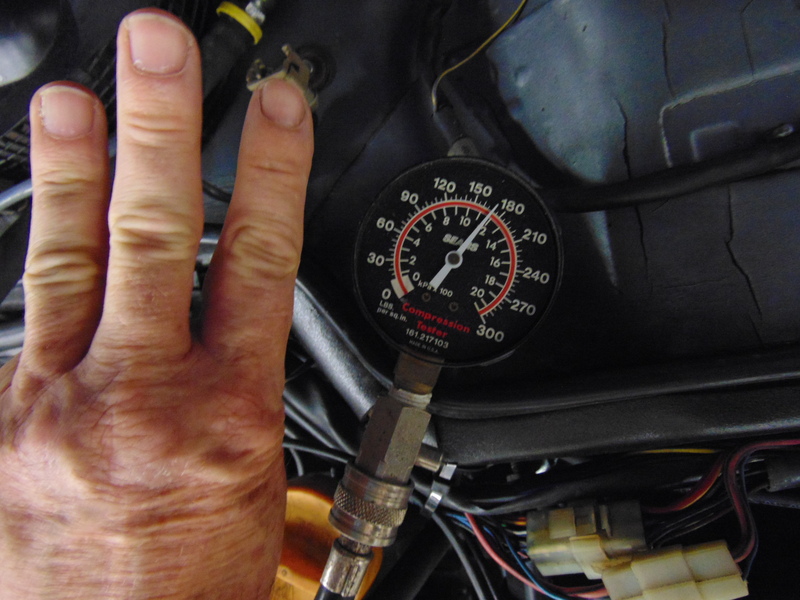 If there were to be a problem with the valves, the cylinder would have a higher leak rate and you could hear the air coming out of the intake manifold or out of the tailpipe, depending on if the leaking valve was an intake valve or an exhaust valve. 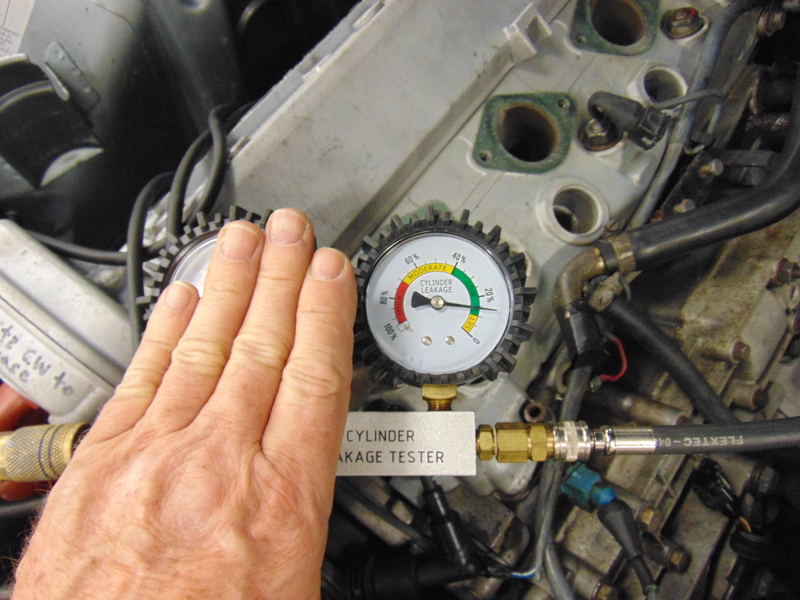 If you had a failure in the head gasket, it would most likely open a path to the coolant and you would actually hear bubbling in the radiator overflow tank. 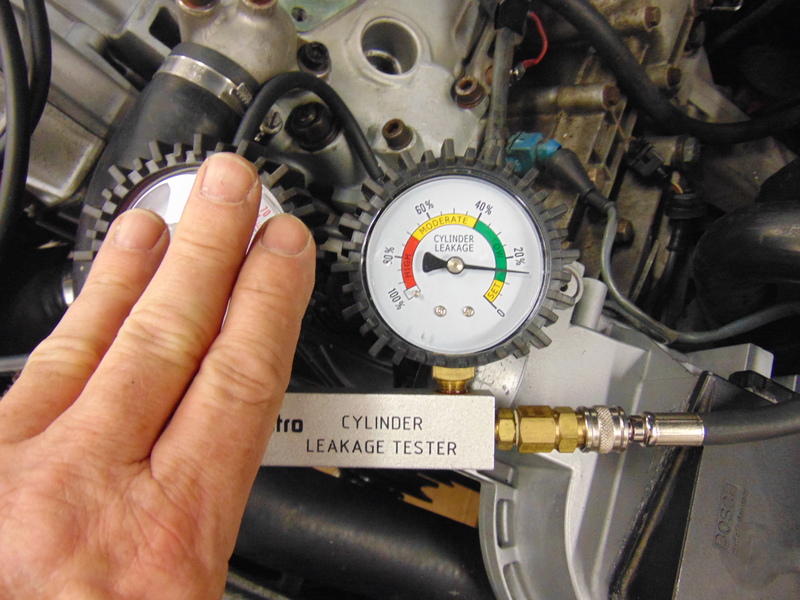 This makes the Leak Down check a good diagnostic tool. This engine had none of these issues and showed good Leak Down values on all cylinders.